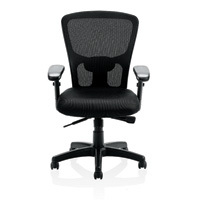 Breathe™ Seating offers a beautifully sculpted polypropylene back structure wrapped in a double layer mesh that offers support and breathability, soft padded arms, adjustable lumbar support and synchronized tilt mechanism. 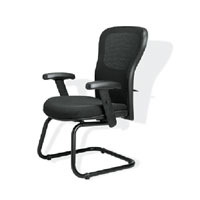 Available in a task chair or sled base guest chair. Black Only WEIGHT CAPACITY 250 LBS. 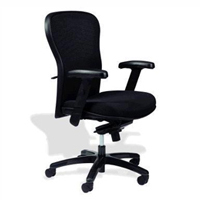 Breathe™ Jr seating offers a breathable mesh back, soft contoured seat, back flex recline in mechanism free float options, mechanism variable position back angle lock, horizontal/vertical lumbar adjustment, adjustable arm with soft urethane arm pads, heavy duty nylon base and 55mm high impact casters. Black Only. WEIGHT CAPACITY 250 LBS. 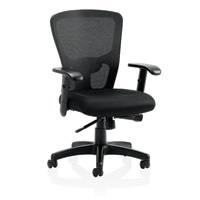 425-60-33009-1 Task chair $200.00 ea.